The answer is to appoint a professional managing agent with a proven track record since 1953 in the highly specialised field of block management. Stuart Smith [Derby] Limited have a proven track record in the highly specialised area of Block Management. 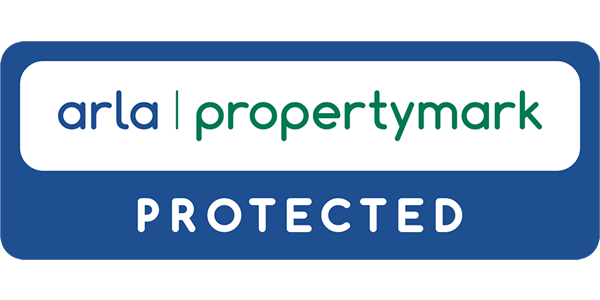 We have the experience, and take a very proactive interest in the properties we manage to ensure that the value of properties is not only maintained but enhanced wherever possible. If you are fed up with your existing agents or want a competitive quote for management of your property contact us TODAY. Leasehold ownership of a flat is simply a long tenancy, the right to occupation and use of the flat for a long period - the 'term' of the lease. This will usually be for 99 or 125 years and the flat can be bought and sold during that term. The term is fixed at the beginning and so decreases in length year by year. Thus, if it were not for inflation, the value of the flat would diminish over time until the eventual expiry of the lease, when the flat reverts to the landlord (although an assured tenancy would them become a possibility). Leaseholders are not necessarily entirely free to do whatever they want in ore with the flat - the lease comes with conditions, to protect the rights of everyone with an interest in the building. For example, retirement schemes will usually have restrictions on the age of those who can live there. Service charges are payments by the leaseholder to the landlord for all the services the landlord provides. these will include maintenance and repairs, insurance of the building and , in some cases, provision of central heating, lifts, porterage, lighting and cleaning of common areas etc. Usually the charges will also include the costs of management, either by the landlord or by a professional managing agent..
Service charges can vary from year to year; they can go up or down without any limit other than that they are reasonable.. Details of what can (and cannot) be charged by the landlord and the proportion of the charge to be paid by the individual leaseholder will all be set out in the lease.. The landlord arranges provision of the services. The leaseholder pays for them..
All costs must be met by the leaseholders; the landlord will generally make no financial contribution. Most modern leases allow for the landlord to collect service charges in advance, repaying any surplus or collecting any shortfall at the end of the year..
Because flats are constructed with one dwelling above another it is not possible for the owner of each flat to also own the land the flats stand on. The freeholder is the owner of the ground that the flats stand on. The owner of the land that flats stands on allow the use of the land on the basis of granting a long lease, in return this usually has the right to make a rental charge called ground rent. A service charge is a sum payable by the owner of the flat to cover the costs of insuring and a maintaining the common parts of a development. It is better to have a block policy that covers every flat because if it was left to individual flat owners to insure their own property and if one property was uninsured this would create serious problems for the adjourning parties. It would be extremely confusing and cumbersome settling an insurance claim where there are a number of insurers involved. All lease holders have rights concerning management of there property. If the managing agents are appointed by the freeholder the latter should take into account your views concerning the choice of agents. The formal process for insisting the freeholder changes agents is laid down by the statute and we would be pleased to provide advice and guidance in relation to this. If the agent is appointed by the management company there is usually the opportunity for leaseholders to make their views known to directors for the management company either formally or at the annual general meeting. The law provides a legal framework to allow a group of residents to purchase their own freehold. However before embarking on this it is sensible to obtain specialist advice on the acquisition process and the value of the freehold. Stuart Smith has the expertise to assist in this area.